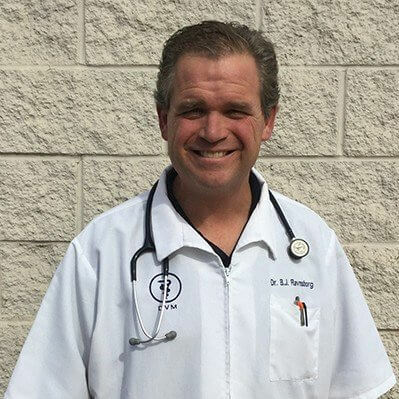 Dr. Ravnsborg is an Omaha, Nebraska native, and earned his undergraduate degree and graduated from Kansas State University College of Veterinary Medicine in 1999. After coming back to Omaha in 2001, he had stayed at Ralston Veterinary Clinic and Elkhorn Animal Hospital. Dr. Ravnsborg co-founded Walnut Creek Veterinary Clinic in January 2008. He has three children: Ben, Ally, and Ty and one dog Cookie that is adopted from a rescue group.